I saw one of your previous On Point questions where someone asked about a semi flex nib. What’s the difference between a semi flex and a rigid nib? 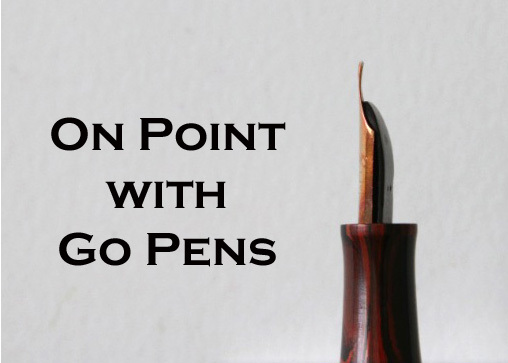 A stiff nib is a nib that doesn’t feel soft – when you write with it, it doesn’t yield with any pressure. It remains rigid against paper as you write. Semi flex or any flexible nib has a varying degree of softness, and the tines will spread slightly, moderately, or greatly, depending on the softness and capabilities of the nib. It depends on how much pressure you apply and on the nib itself, but a nib with flex feels soft and bounces back to its original position after you apply pressure. A stiff nib remains in its original position, even if you apply pressure.